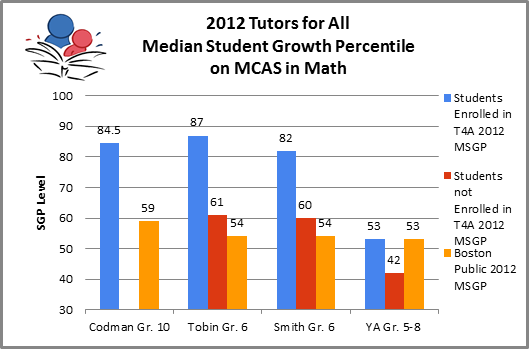 Tutors for All is experiencing exciting growth this year. We’re expanding our work at Codman Academy, continuing our work with the Tobin School and Massachusetts General, establishing a program at Boston Green Academy, and crafting a partnership with Squashbusters, a sport-based youth enrichment program. As our programs expand, we are embarking on our most ambitious organizational growth plan yet: laying groundwork that will take us from a small non-profit under the wing of Third Sector New England to a stand-alone non-profit venture. With your help, we hope to reach beyond the city of Boston and introduce our programs on a statewide level within the next three to five years. We have some hard work ahead of us, but we know that it is possible. With your help, we will achieve success. This year more than ever, your tax-deductible donation will go a long way as we prepare for these momentous changes. If you have donated to us previously, we ask you to join our “one-up” challenge by increasing your previous donation. If you have never donated, we ask you to dig deep, remembering either your own struggles when you were in school or those of a close friend, and how a program like ours could have helped. 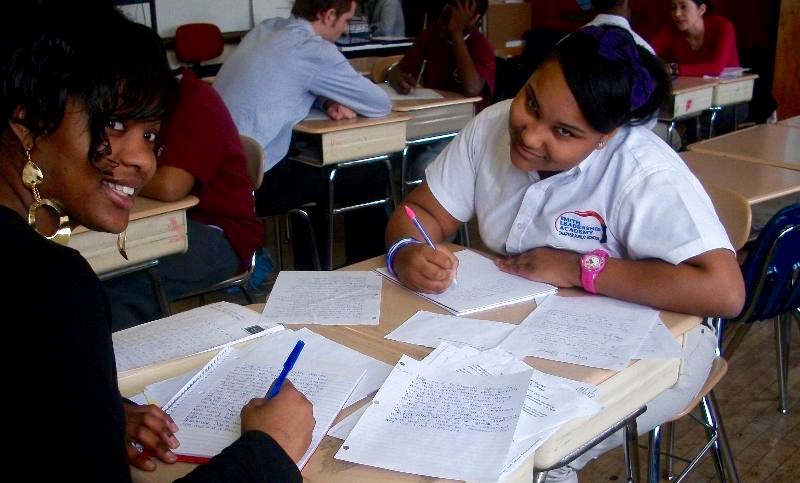 Make a tax-deductible donation to us today by donating online or by sending us a check made out to Third Sector New England/Tutors for All at 89 South Street LL02, Boston, MA 02111. All gifts, no matter the size, will make a difference. This entry was posted in Mission, Tutors for All Blog: One Student at a Time on December 10, 2015 by Mark Destler. 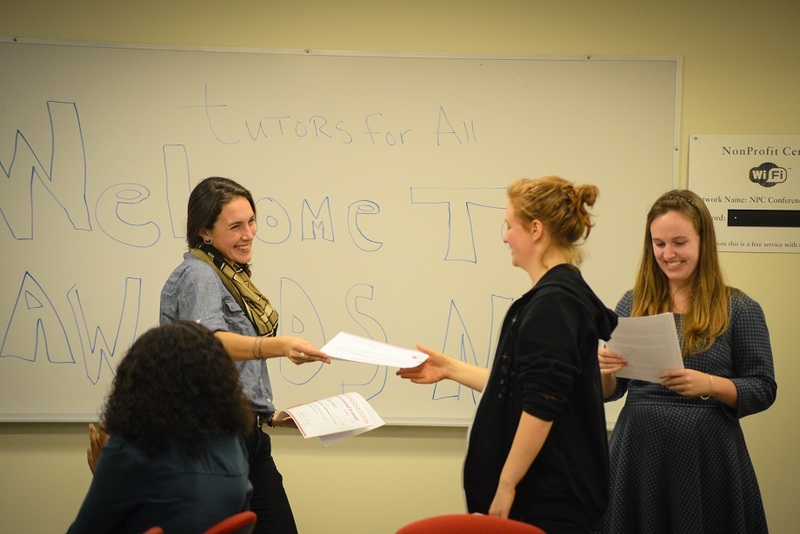 For eight years running, Tutors for All programs have achieved jaw-dropping results for Boston kids and the organizations that serve them. How have our programs accomplished this? While each program in our history has its own unique story, we believe that seven key elements unite them and offer a roadmap to follow. Over the next few months, we’ll be spending some time discussing each of them. Our goal: a conversation among experts and beginners on how effective programs can work. Today’s topic: High Quality Oversight. This entry was posted in Mark Destler, Mission, Results, Tutors for All Blog: One Student at a Time on May 28, 2015 by Mark Destler. 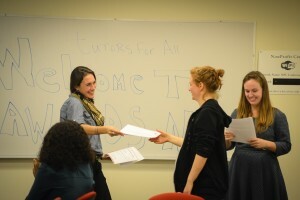 Tutors for All Announces New Partnership with the YMCA! Starting this summer Tutors for All will be running summer camp and after school programs at YMCA locations across Boston. T4A will serve elementary school students attending YMCA summer camp and after school programs. This first of these programs will begin at the Roxbury YMCA this July. 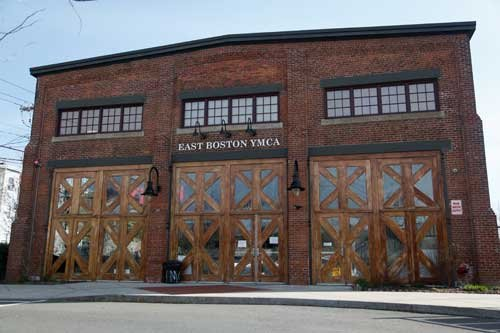 In the fall we will conduct our first after school program at the East Boston YMCA. We look forward to expanding our outreach to Boston youth through the YMCA. Check back for updates throughout the year! This entry was posted in Mission, Tutors for All Blog: One Student at a Time on June 27, 2014 by Mark Destler.